A quote from the Rolling Stones, above, sets the tone for the intense negotiations and lobbying that transpired during the recently concluded fourth session of United Nations Environment Assembly (UNEA-4). 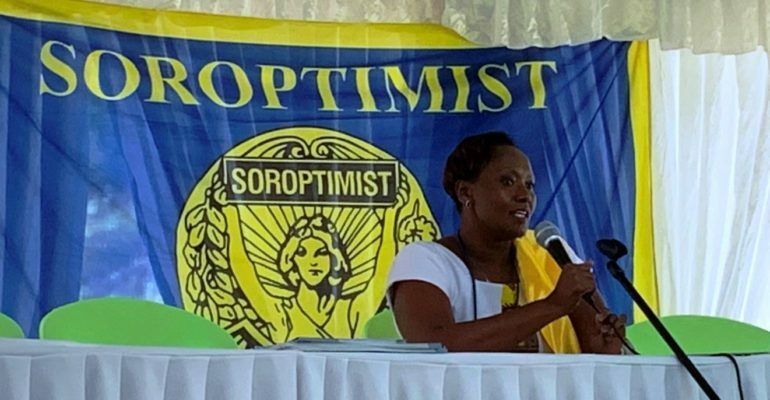 Soroptimists International (SI) and Women for Water partnership (WfWP), representatives in the Nairobi UN Centre, were among thousands of delegates who actively took part from 11-15 March 2019, in Nairobi, Kenya, at the UN Offices at Nairobi (UNON). The fourth session was convened under the theme; “Innovative solutions for environmental challenges and sustainable consumption and production.” The event provided a space for participants to share research, experiences aimed as shaping the global response in addressing environmental challenges through innovative homegrown as well as scientifically sound initiatives, that protect the life on land, seas and the planet. The conference attracted many participants, with five Heads of State and Government, 157 ministers and deputy ministers, and almost 5,000 participants from 179 countries who attended the Assembly and related events throughout the week. The event was structured into plenary sessions, multi-stakeholder and leadership dialogues, with parallel events at UNON, including the One Planet Summit convened by the Presidents of France and Kenya. Other events that took place in conjunction with UNEA-4 included: Global Major Groups and Stakeholders Forum (7-8 March); Science, Policy and Business Forum (9-10 March); Sustainable Innovation Expo (10-15 March); and Cities Summit (13 March). Alongside UNEA-4 was the Open-Ended Committee of Permanent Representatives (CPR) convened from 4-8 March, with informal consultations on 9-10 March, to negotiate the resolutions and decisions to be adopted by UNEA-4. At the closing plenary session on 15 March, delegates adopted a Ministerial Declaration, 23 resolutions and three decisions, addressing shared and emerging global environmental issues. 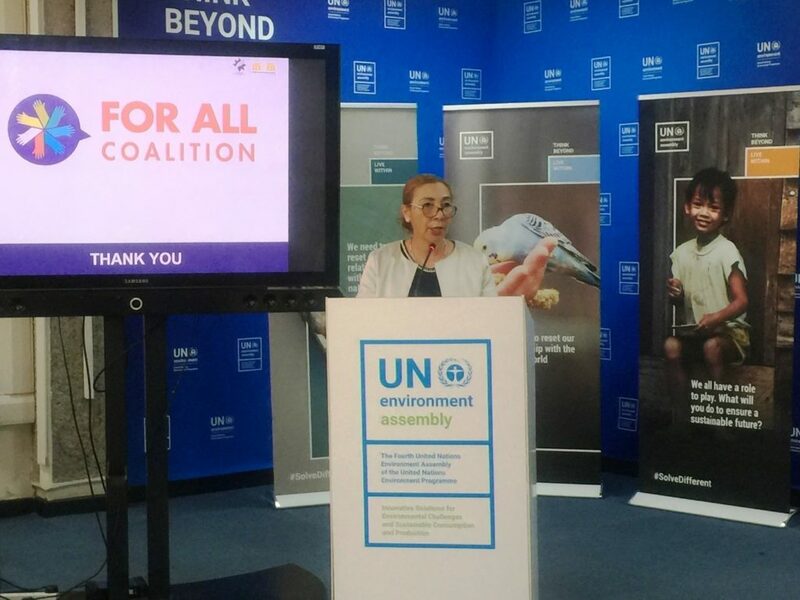 UNEA-4 also adopted the UNEP Programme of Work and budget for the 2020-21 biennium and launched the Sixth Global Environment Outlook report. The fourth session of UNEA began on a sombre mood on 11 of March with the devastating news of the loss of 157 people, who perished in the Ethiopian Airlines crash on the previous Sunday, whilst en route to Nairobi. UNEA-4 President Siim Valmar Kiisler (Estonia) invited delegates to observe a minute of silence in honor of the affected persons in the plane crash. In her opening remarks, Joyce Msuya, Acting Executive Director, UNEP, introduced the UNEA-4 theme, “Innovative Solutions for Environmental Challenges and Sustainable Consumption and Production.” She anticipated the attendance of environment ministers and other high-level delegations from over 170 countries as well as other stakeholders, and invited all to join the #SolveDifferent campaign, which aims at communicating the environmental cost of unsustainable consumption and production models. Of relevance and great importance to Soroptimist International global work, was the gender environmental governance resolution that was sponsored by Costa Rica, titled; Promote gender equality, and the human rights and empowerment of women and girls in environmental governance: in part the gender resolution stressed the “importance of gender equality, the empowerment of women, and the role women play as managers of natural resources and agents of change in safeguarding the environment.” The gender resolution (UNEP/EA.4/L.21) acknowledges that women’s knowledge, and collective action have a huge potential to improve resource productivity, enhance ecosystem conservation and sustainable use of natural resources, and create more sustainable, low-carbon food, energy, water, and health systems. The resolution notes that the role of women as agents of change could receive more emphasis as advocated in UNEP’s Global Gender Environment Outlook. 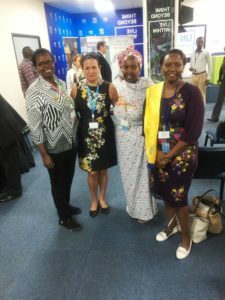 continue to support initiatives to encourage and support the participation of women delegates and their leadership in UNEA and in related intergovernmental meetings”. For information on Ministerial Declaration, Resolutions and Decisions for UNEA 4 visit HERE.